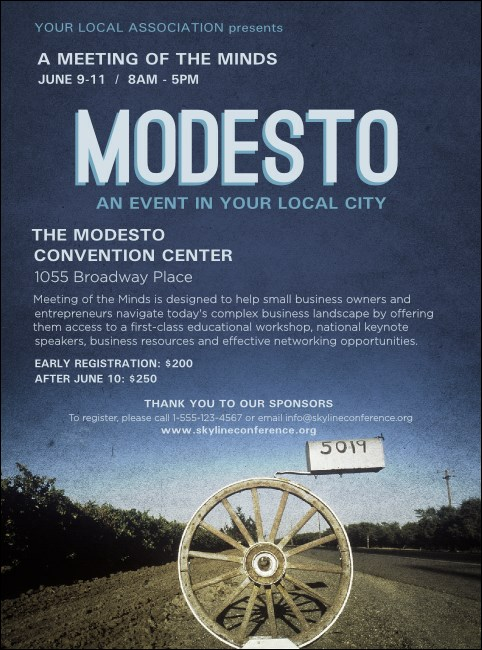 Draw attention to your event from Yosemite to the Pacific with the Modesto Flyer. This flyer has plenty of room for your event information, with deep blue tones of the sky with a wagon wheel and mailbox completing this idyllic western scene. From the E&J Gallo Winery to the McHenry Mansion, promote your California event with the Modesto Flyer.